If you live with an older cat, you might want to think twice about crinkling tin foil or clanging a metal spoon against a ceramic bowl. These and other high-pitched sounds can cause audiogenic reflex seizures (FARS) in elderly cats. 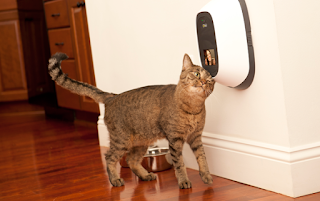 FARS was first reported in a recent issue of the Journal of Feline Medicine and Surgery. Other sounds that can trigger the seizures are tapping on glass, crinkling paper or plastic bags, tapping on a computer keyboard or clicking the mouse, clinking coins or keys, hammering a nail and even clicking your tongue. Until recently, no one had even thought there might be a connection between loud noises and seizures in cats. 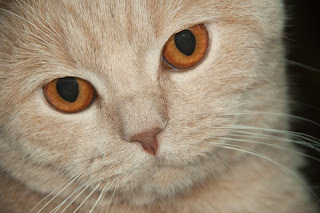 But Cat Care International received so many inquiries from alarmed caretakers, the UK based charity asked neurologists at Davies Veterinary Specialists, UK for help. Mark Lowrie and Laurent Garosi of Davies Veterinary Specialists and Robert Harvey from the UCL School of Pharmacy in London designed a questionnaire that drew responses from hundreds of people worldwide. 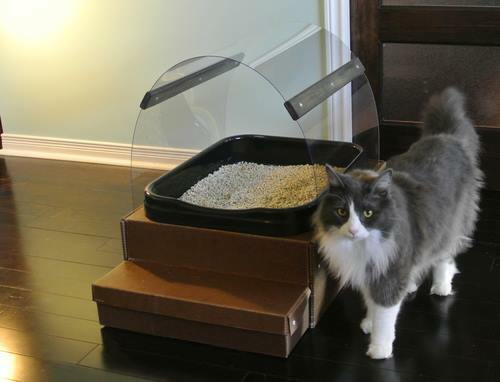 All said their cats had seizures after hearing certain sounds, but their vets had no idea why. Many of the vets found it hard to believe that a sound could trigger a seizure. 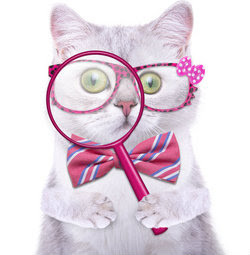 In their paper, the researchers wrote about 96 cats. 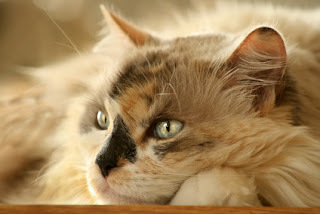 They said the average age of onset in their study was 15 years, although some cats as young as 10 suffered from FARS. The loudness of the sound seemed to increase the severity of the seizures. 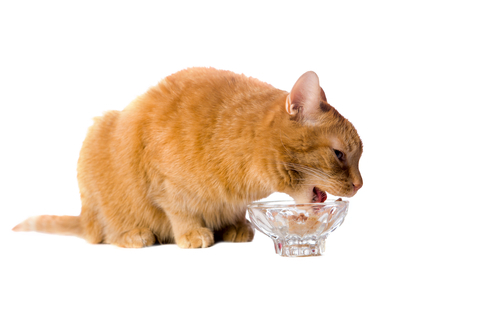 While the obvious solution to this problem is to avoid making the sounds that trigger seizures in your cat, that's not always possible. As an alternative, Lowrie says levetiracetam "is an excellent choice of medication for managing this condition." The researchers will be publishing a second study on that soon. © Andrey Kuzmin - Fotolia.com If you leave a radio on for your cats when you're not at home, they probably appreciate the "white noise." But a study by University of Wisconsin-Madison psychologist Charles Snowdon shows that whatever they're listening to isn't exactly music to their ears. Turns out that species other than than humans can enjoy music, but it has to be in the frequency range that species uses to communicate and with tempos they would normally use. 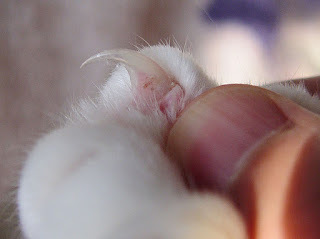 Snowdon first tested this theory, suggested by musician David Teie, on cotton-topped tamarin monkeys. While they showed little interest in music written for humans, Teie says they "displayed a marked increase of activity" when they heard music he composed just for them. As he explains it on his website, "all mammals are born with templates of sound in the brain that govern emotional response. Many of these templates come as 'standard equipment' and are not always learned... If someone were to scream in your presence your heart rate would increase; there is no way for you to prevent it. You would not, however, respond similarly to the alarm call of a squirrel. "Studying the characteristics of a given species gives us a basis for music for that species," he says. 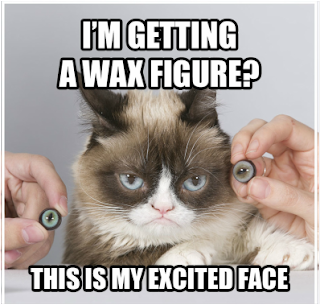 So what about cats? 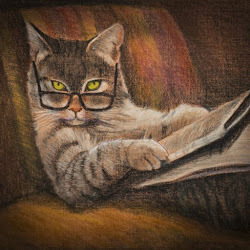 Since cat calls are about an octave or more above human voices, Teie wrote pieces that use sliding notes and high pitches. He based the tempo of the music on suckling and purring sounds. 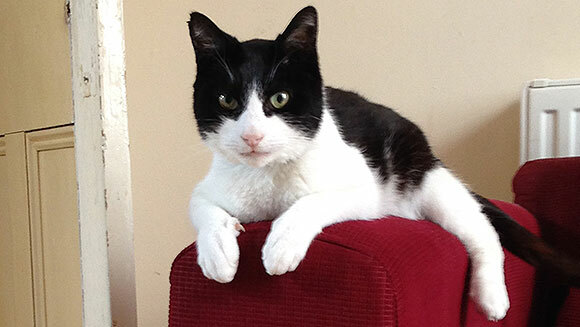 The test came when researchers played his compositions for 47 cats in their homes. On the playlist: "Cozmo's Air" and "Rusty's Ballad." The cats also heard Gabriel Fauré's "Elegie" and Johann Sebastian Bach's "Air on a G String." The music written for humans was pretty much ignored. But when the cats heard the pieces Teie composed just for them, they were likely to wake up from their naps, turn their heads towards the music, walk towards it or even rub their heads against the speakers. When we tried a kitty concert here, Soda woke up from a deep sleep and sat up in his favorite chair to concentrate on the music. Boccelli wandered around my office trying to figure out where it was coming from, but he seemed to like it. Honey just continued sleeping on the top perch of the cat tree. 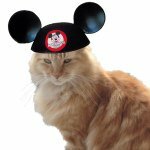 To see how your cats react to Teie's "mewsic," try playing a sample. If they like it, you can download a collection of Cat Ballads, Kitty Ditties or Feline Airs. 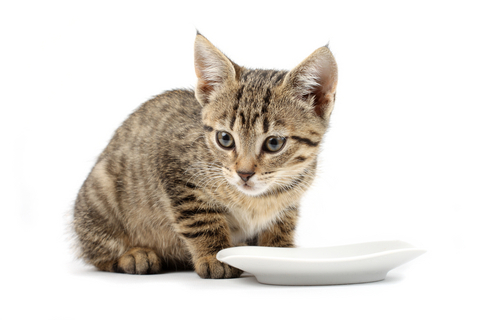 A recent study shows that cat food might contain ingredients not listed on the label and may be missing ingredients the label says are there. 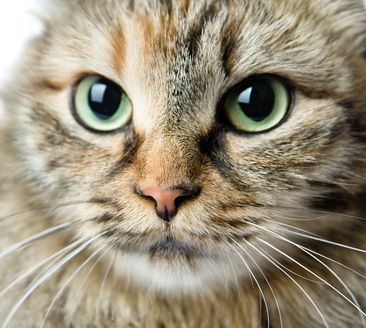 In the December issue of Petfood Industry magazine, veterinarian David A. Dzanis, a consultant on nutrition and pet food labeling and regulation, reports on a study done by polymerase chain reaction (PCR) assay (a form of DNA testing). 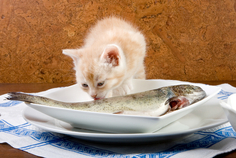 The study found "a notable percentage of pet foods contained materials from species of animals not identified in their respective ingredient declarations." The findings, Dzanis says, are similar to those found in European study done in 2013 that used both PCR and microscopic methods of analysis. That study focused on products intended for use in elimination trials for diagnosing food allergies. The most recent study looked at 52 products. Undeclared species, usually pork, showed up in 16. But that's not surprising, Dzanis says, considering the opportunity for cross-contact in food production facilities. What's more concerning was that in seven of the foods tested, a listed ingredient was missing. So there may have been no beef DNA in a product that, according to the label, contains beef. "I understand that many ingredients may look similar upon visual inspection, so mistakes can happen, but whether deliberate or not, or whether it occurs at the manufacturer or supplier level, there's really no good excuse," Dzanis writes. He urges pet food manufacturers "to practice due diligence in ensuring that what is declared on the label is in the product, and what is not declared is not in the product. Irrespective of any true safety concern or degree of enforcement priority," he says, "it's reasonable for people to expect to get what they pay for." 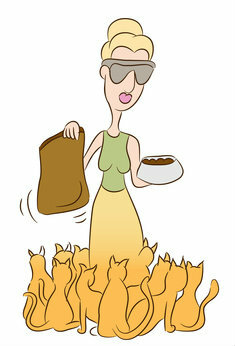 I don't know about you, but I'm rethinking making my cats' food. At least I'd know what's in it! Anne Beall's husband didn't smell a rat, he felt one. Running across his foot. For the Bealls, that was a defining moment. Would they sell their Chicago Lakeview home or take on the rats that had been plaguing their neighborhood for years? They decided to take on the rats. While there are all kinds of ways to get rid of rats, the Bealls decided to call on Mother Nature and the Tree House Humane Society's Cats at Work program. Tree House relocated three feral cats to the Beall's property, and after a three-week confinement period, the "Rat Pack" was on the job. And that's when Anne Beall's journey into the world of feral cats began. "I expected my cat colony, lovingly dubbed the Rat Pack, would solve my rat problem, but I never expected the bond our family now shares with our wonderfully clever and hard-working outdoor cat colony," she says in a press release announcing the publication of her book, "Community Cats: A Journey into the World of Feral Cats." 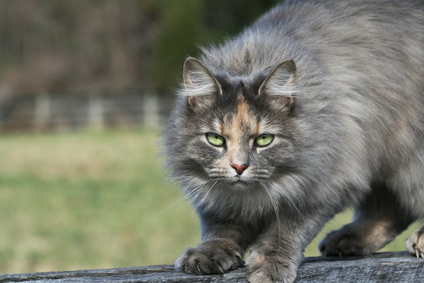 Each year, shelters kill about 1.5 million cats or about 70 percent of cats who come through their doors because they're feral, or appear feral, and are not adoptable to homes. In researching her book, Beall found that 71 percent of households have never heard of trap/neuter/return, "but when given the facts, 77 percent of Americans would support local TNR programs." 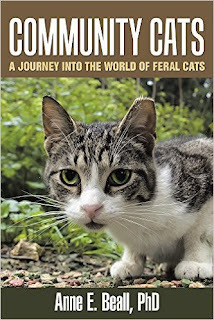 In her book, she talks with other colony caretakers and leaders in the TNR movement and takes a look at how feral cats live and relate to each other and their caretakers. Beall is president of Beall Research, a market research firm. But it sounds like her book is not so much about research as a labor of respect, admiration and love. 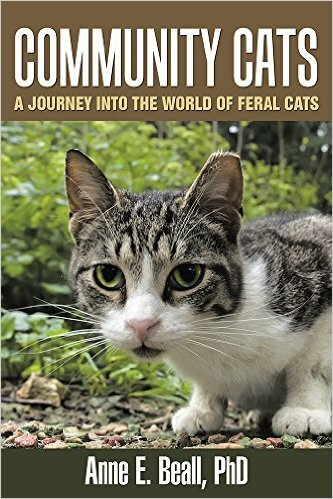 "Community Cats: A Journey into the World of Feral Cats," is available on Amazon. For a sneak preview, visit Beall's website.